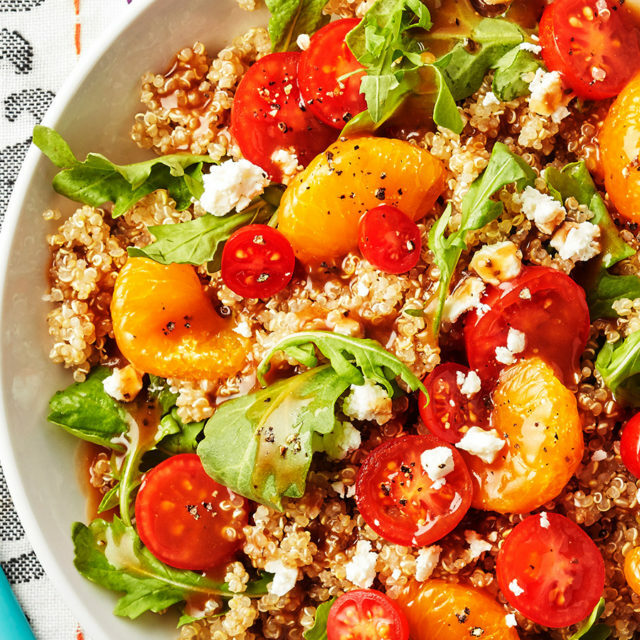 Take your salad game up a notch with our Asian Quinoa Salad. Featuring our Tiny Hero Golden Quinoa, this crunchy flavor bomb is perfect for any occasion, whether you’re entertaining a weekend party or just looking for an easy, delicious, and healthy meal for your family. Boil a large pot of water. 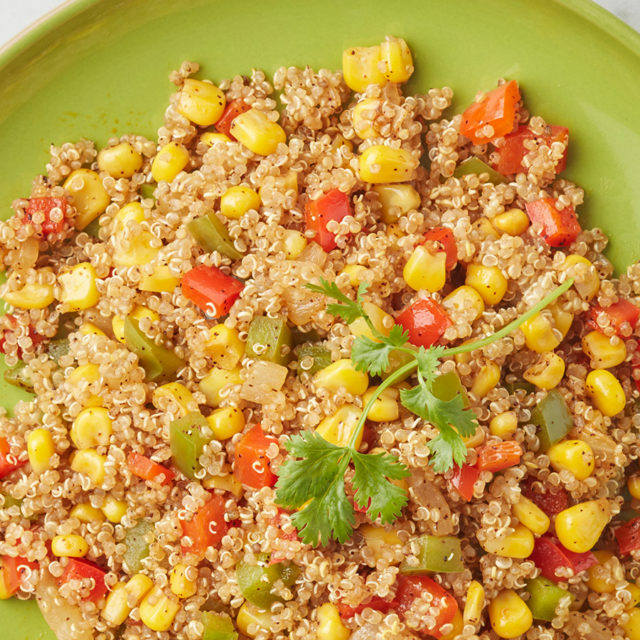 Add Tiny Hero® Golden Quinoa and continue simmer for 15 minutes. Drain quinoa through a fine mesh strainer under cold water. 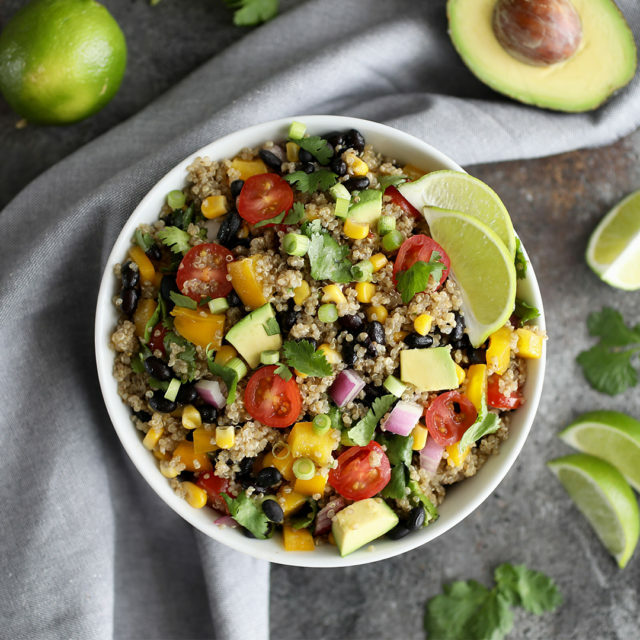 In a large mixing bowl, toss the Golden Quinoa with the green and red cabbage, carrots, green onion, almond slivers, and ramen noodles. In a separate small bowl, mix sesame oil (or olive oil), rice vinegar, mustard, and cilantro together until well blended. Add salt and pepper to taste. Cover bowl and put it in the refrigerator for 30 minutes before serving. To serve, garnish with optional almond slivers, green onions and cilantro.